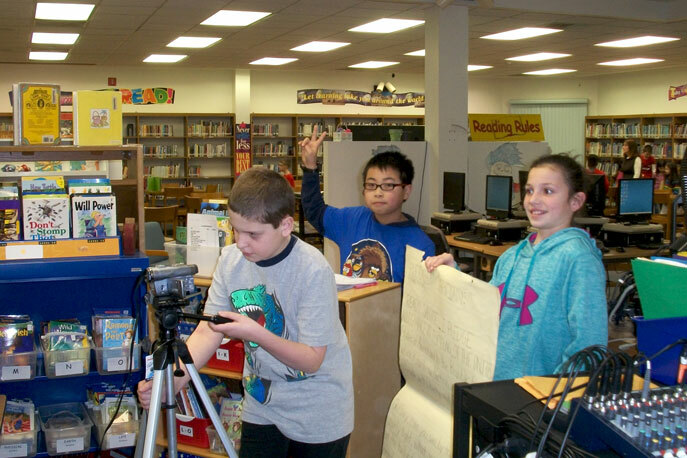 The news is good in Manchester: The Broadcast News program, a volunteer leadership program for fifth-graders, is building a positive school climate, as well as a strong social and emotional foundation for students, through the work of an on-air news team. Modeling speaking and listening skills of the Common Core State Standards, fifth-grade students put on a news program each day, announcing birthdays, special events, the weather and leading the Pledge of Allegiance and National Anthem. Students become leaders and mentor other students as they perform roles such as camera operator, script writer and on-air talent. Teachers, community members and high school students developed the program and brought it to life. A team of teachers created criteria for the student positions and conducted tryouts. More than 550 K-5 students watch the news each day, as all classrooms tune in to the live broadcast. The program continues to grow, and teachers look forward to increasing the use of technology to add to the already-successful news cast.